Ten artists and collectives from around the world speculate on alternative futures for the economy, the environment and society itself, asking, ‘what if?’ From a live studio pottery, to a verdant greenhouse, a remarkable series’ of installations and events engage us in playful, provocative and creatively pragmatic models for social change. In a new iteration of his Soul Manufacturing Corporation (2011–ongoing) Chicago-based Theaster Gates creates a studio for making pottery, training apprentices and investigating skill, teaching and craft. In the spirit of William Morris, labour becomes both communal and uplifting. 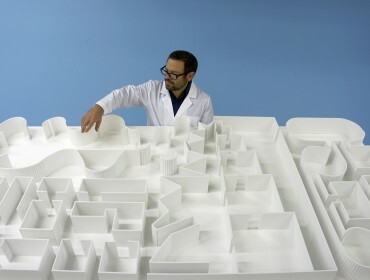 Mexican artist Pedro Reyes invites visitors to enter a Sanatorium offering therapy for the urban dweller. 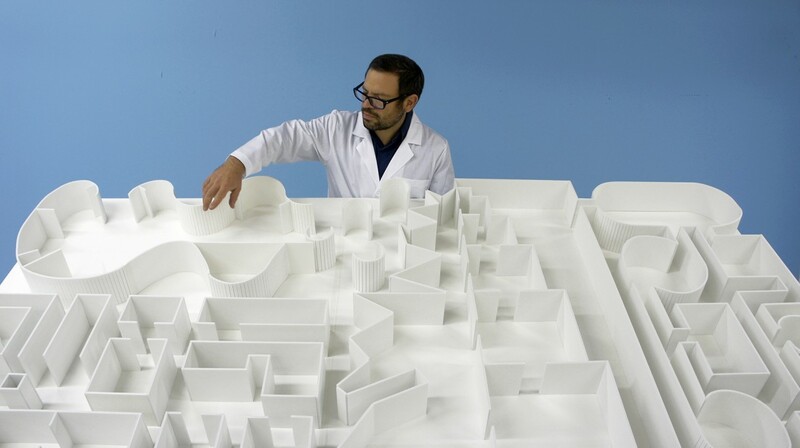 A highlight of dOCUMENTA 13, his utopian clinic is manned by therapists who can guide us through a sequence of rooms and objects, dedicated to ‘Sociatry’, the science of art and healing society. Our relationship to the environment is explored by London collective, Wayward Plants who use experimental greenhouses to grow tomatoes, potatoes and mustard plants. They fuse new possibilities in food production with scientific narratives, from futuristic seed gardens to sending plants to space. The humble earthworm, crucial to agriculture, is at the heart of an installation by US-based artist Claire Pentecost whose apothecaryjars full of soil examine bacterial life and thelink between the health of the soil and thehealth of our bodies. Alternative economies are a focus for Time/Bank, founded by Julieta Aranda and Anton Vidokle who work between Berlin and New York. Visualising micro-economies based on the exchange of time, their research is complemented by a series of lectures by academics who propose alternative modes of exchange. Danish collective Superflex promote self-organisation and countereconomic strategies with their film, The Financial Crisis, showing a hypnotist addressing the financial meltdown of 2008. French-Moroccan artist Yto Barrada’s installation asserts individual narratives within historic structures of colonial power. Just as early twentieth century avant-garde artists deployed graphics and cinema as aesthetic activism, Barrada’s Say Don’t Say posters use terms which subversively react to bureaucratic demands. Scale-model cinemas evoke her cinema club in Rif, where the rich heritage of Arab film can be viewed and discussed. UK-based Peter Liversidge asks institutions to join him in making utopian proposals. Some of his ideas for performances and artworks can only be imagined. Others are made concrete, so that snow may fall on a summer’s day and comedy is performed in the white cube. In the forest of directive and incentivising signs that are the hallmarks of a capitalist culture, he interjects with expressions of pure freedom. What kind of social groups can be formed outside of work, politics or religion? For Turkish collective Ha Za Vu Zu it is sound that brings people together to create and resist, using pure noise to spark interest and participation. Once a crowd has formed they are structured to continue to make sound together, documenting the process. The Russian design lab Ostengruppe make their contribution to the cultural life of Moscow by publicising cultural events with dazzling posters that combine new technologies with drawing and collage. Evoking the graphic legacies of artists such as John Heartfield or El Lissitzky, they have created a poster for each of the exhibitors in The Spirit of Utopia. The exhibition has been curated by Iwona Blazwick OBE, Daniel F. Herrmann, Kirsty Ogg, Sofia Victorino and Nayia Yiakoumaki. The exhibition is supported by Whitechapel Gallery Future Fund, with additional support from Outset Contemporary Art Fund; SAHA, Istanbul; the Danish Arts Council Committee for International Visual Arts; Embassy of Mexico in the United Kingdom; Embassy of the United States, UK; The Cass Faculty of Art, Architecture and Design and London Metropolitan University. With thanks to Ingleby Gallery, Edinburgh, Lisson Gallery, London, Pace, London, White Cube, London and Sean Kelly Gallery, New York.